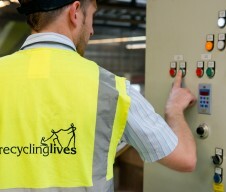 Spanning 10 years from Recycling Lives’ earliest years to the present day. More than just metal – the aim to rehabilitate homeless people and support them into full-time employment was born with Recycling Lives. Starting construction on our first centre marked the beginning of our work creating the Residential Charity. Taking the first steps towards creating an environmentally and socially conscious business, Recycling Lives ISO 9001 and 14001 accreditations show that we maintain high quality and environmentally conscious work processes. 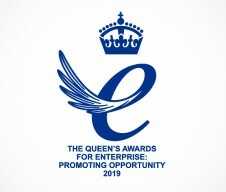 Celebrating our move towards sustainable development, Recycling Lives received its first Queen’s Award for Enterprise in 2010. This came with further developments to our services when we bought our first producer compliance scheme, Advantage Waste Brokers and opened our main Recycling Park. Building England’s first ever Flat Panel Display TV processing centre in 2011, we were able to process and recycle toxic elements of the TVs on site for the first time. This achievement was coupled with recognition of our charitable work from the Lord Lieutenant of Lancashire, Lord Shuttleworth, who became honorary patron of the charity. Expanding our charitable activities, we began work on the ‘Fresh Start’ café and opened our first HMP Academy, both offering work experience to marginalised individuals to help them improve employment prospects. We also took huge strides forward expanding and improving our recycling processes, buying a skip company and achieving a 99% recycling rate. Working with organisations like Achieve to provide employment opportunities to foreign exchange students, ex-offenders and people with disabilities, Recycling Lives’ expanding employment programmes began to receive more recognition in 2013. 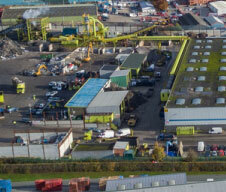 It was also a landmark year for our main Recycling Park, marking the beginning of our construction on the fragmentiser. 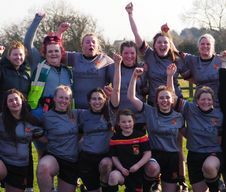 The year that all our hard-work began to pay off, we received a second Queen’s Award for sustainable development, opened the ‘Fresh Start’ café and began processing scrap metal through our fragmentiser. 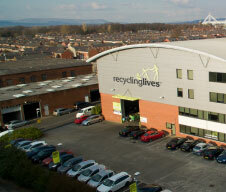 Expanding our charitable work, we opened the Recycling Lives Food Redistribution centre to redistribute surplus food from supermarkets and suppliers to charitable organisations across Lancashire and Cumbria. We also claimed two business awards in recognition of our business innovation. A big year for Recycling Lives, 2016 saw new investment in our recycling processes and social enterprise, receiving several awards for our continued environmental and charitable work. 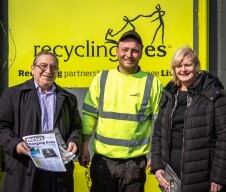 Marking the beginning of Recycling Lives’ nationwide expansion, in 2017 we took over five sites across the UK, in Walsall, Workington, Bury, Birkenhead and Erith. This huge expansion happened at the same time as our Food Redistribution Centre hit a landmark achievement: serving one million meals. 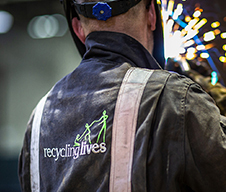 Launching ourselves into the new year, we have already introduced our new recruitment business, Recycling Lives People, and opened our first scrap metal site in Cumbria.